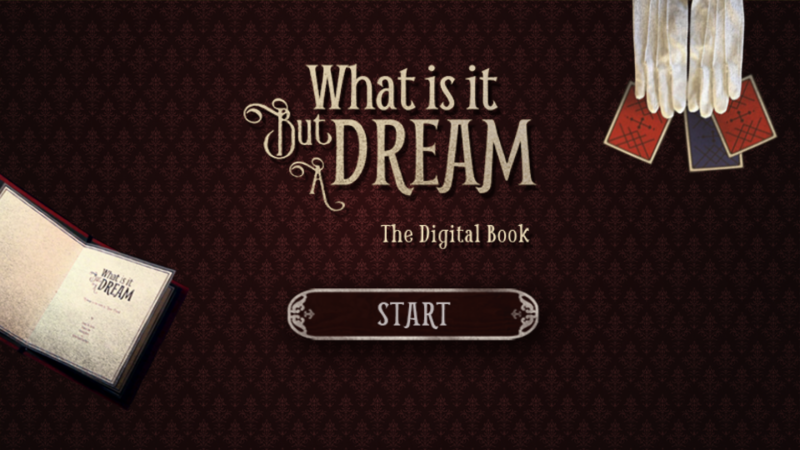 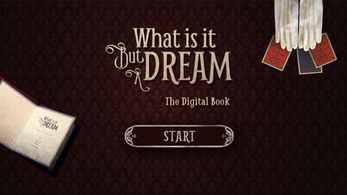 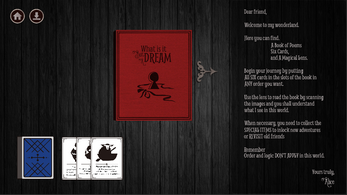 What Is It but a Dream is an augmented reality recombinant book of visual poetry. 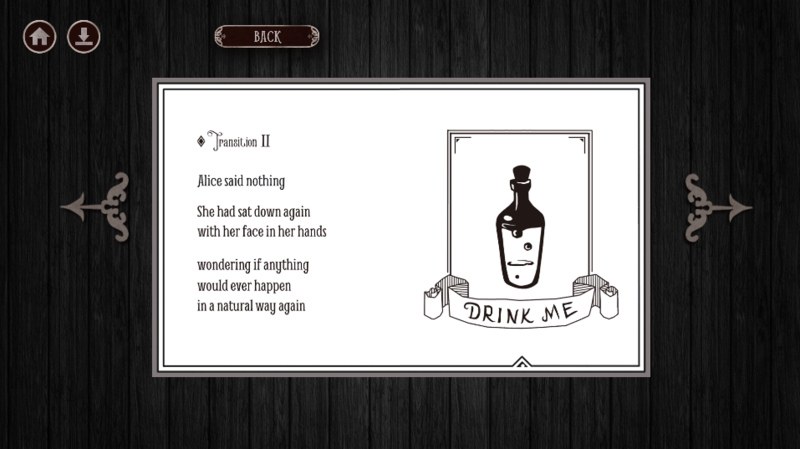 Inspired by the motif of shifting perspectives from Lewis Carroll’s Alice’s Adventures in Wonderland and Through the Looking-Glass, the interactive experience uses the phone as a contemporary metaphor for the looking-glass to retell familiar tales in multiple perspectives. 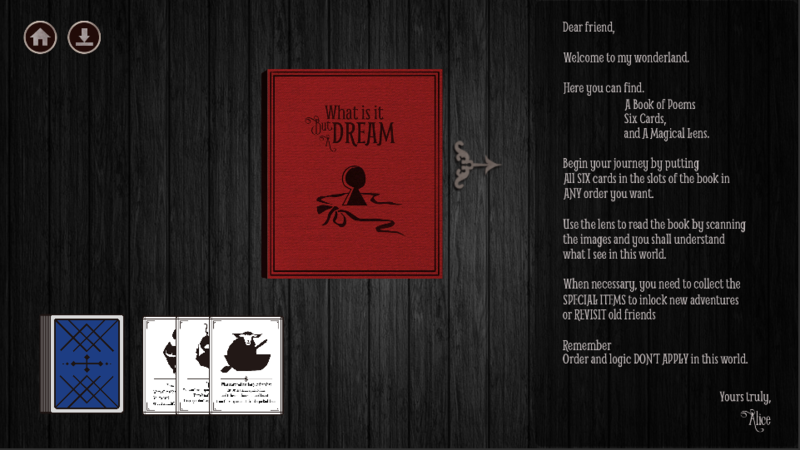 The piece consists of three components: the physical book, a set of cards, and a smartphone application. 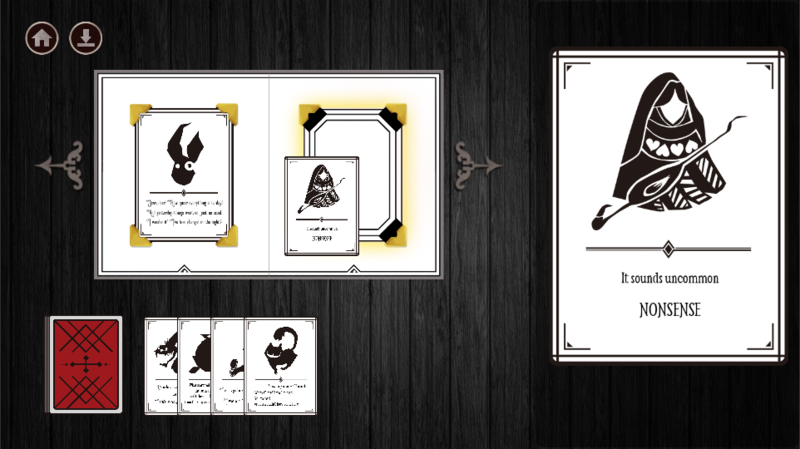 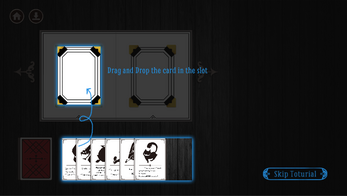 A typical playthrough will begin with the player randomly placing the set of cards into tabbed slots within the book. 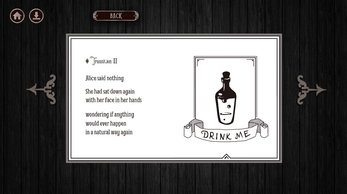 Upon doing so, the player may use the smartphone app to scan the images in the book to see a corresponding illustration.